Hello! Welcome back! The Zales are continuing to establish a presence in Riverview, and I believe I forgot that Miriam and Oscar weren’t married! Let’s get on with it, shall we? I begin, as always, with a Zale check. First I discover a dark and rainy Rajan and Natalie having a disagreement. Based on the speech bubble, looks like some ignorance was berated. It is clearly distressing Miriam. 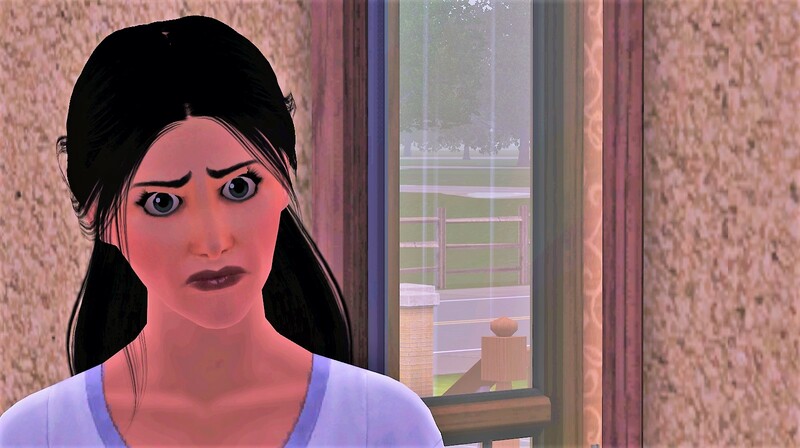 What an odd look on such a pretty face. Uh oh… Looks like Oscar is suffering from antsimism. 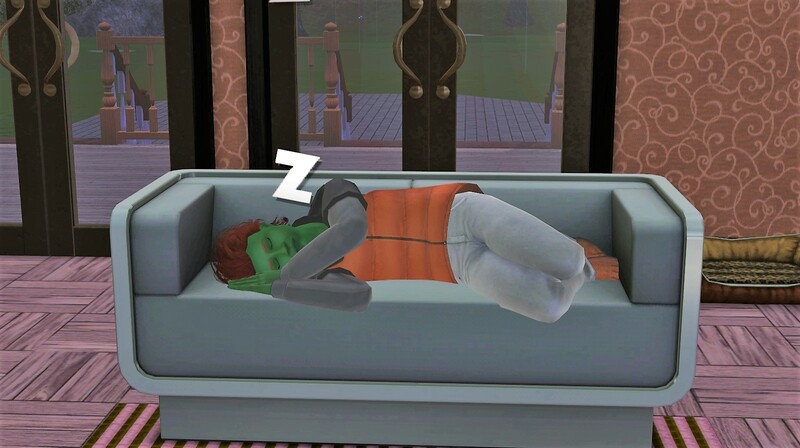 Owen is being a good little Sim and trying to do his best to rest up without a bed. The house is just too small for a bed… I did give him a sleeping bag near the end of this post, maybe he’ll be able to use it and get a full nights sleep. He spun into his chosen sleepwear for the evening and returned to normal. Yay! 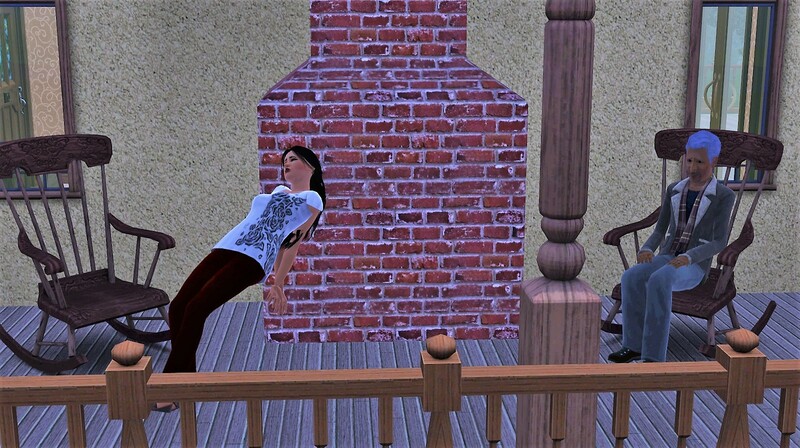 I thought these two rocking chairs on the porch would be picturesque. Instead they’re just idiot magnets. Might have to put something else out here… like a bed for Owen… just a thought. It is a covered porch, so he wouldn’t get wet. He does hate the outdoors, though… we’ll see. 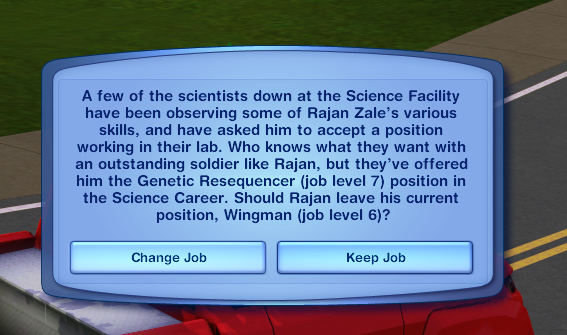 Come morning, Rajan is offered a job in the science career. I accept, he’s going to die soon anyway. 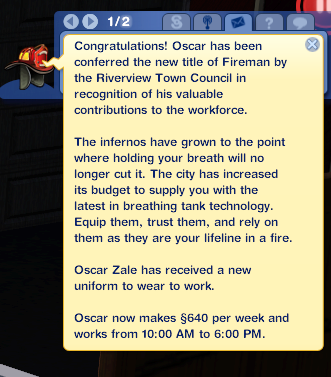 A new day dawns for Oscar at the firehouse as well. 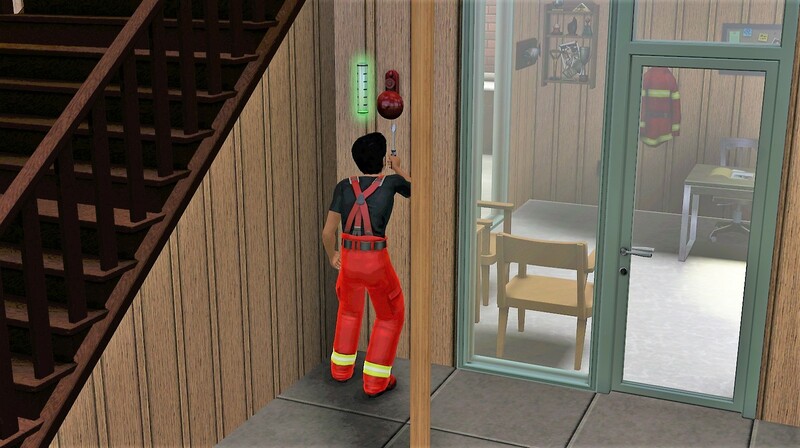 After his quick bite of bread and jam, it’s back to work on the fire alarm. And hey! It earns him a promotion! He’s had a couple now. Good job, buddy. I then see Oscar roll a wish I’ve never seen before. Um, no. You cannot. Might have something to do with him being insane? 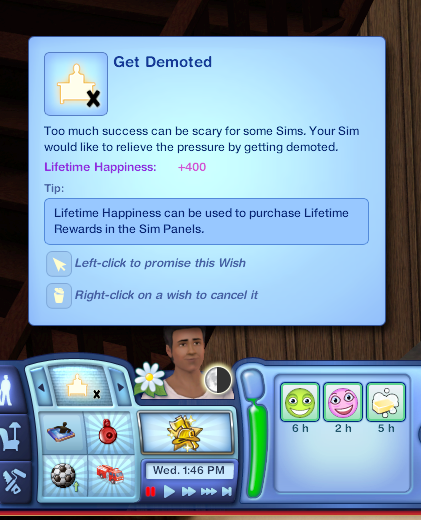 I’ve never seen a Sim wish for a demotion before. It’s prom night for Owen! I hope he has fun and enjoys being crowned prom king. Because of course he will. Oscar and Mir have been rolling wishes for pregnancy books, and I didn’t see them in the family bookshelf inventory, so I send Oscar off to buy them. What a cute bookstore! Sometimes you just have to love this game. 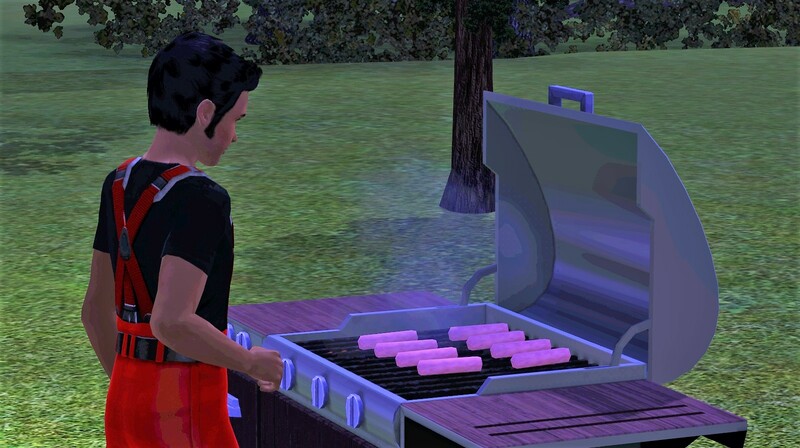 In an effort to prevent the family from staving, I put Oscar to work grilling some hotdogs. 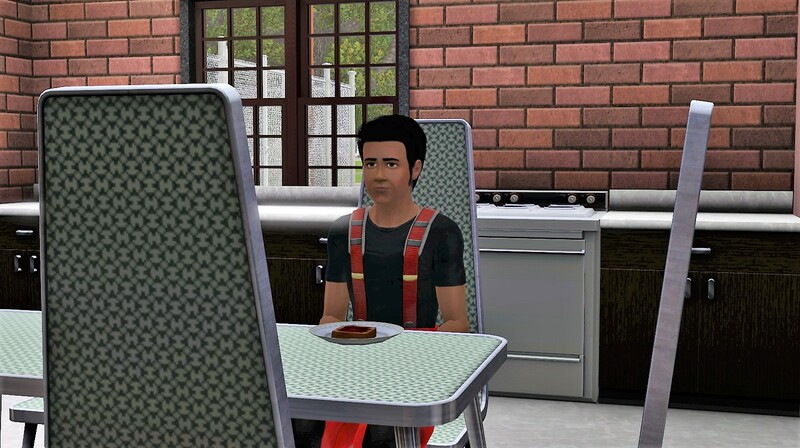 I’m spoiled by TS4 and being able to drag the leftovers to the fridge myself so they don’t go bad, but I do remember and have Oscar put the uneaten ones away. The cute little patio area gets its first use! 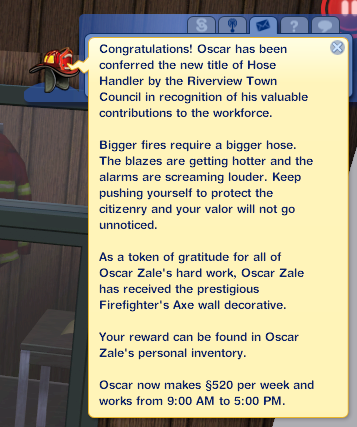 Made me happy but it gives Oscar the “unfinished” moodlet. 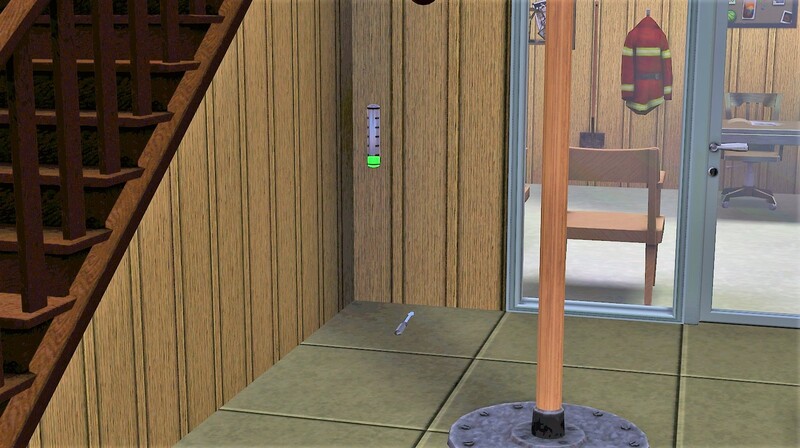 I checked everything in build mode, even the ceiling, and I can’t see anything unfinished. Bummer. 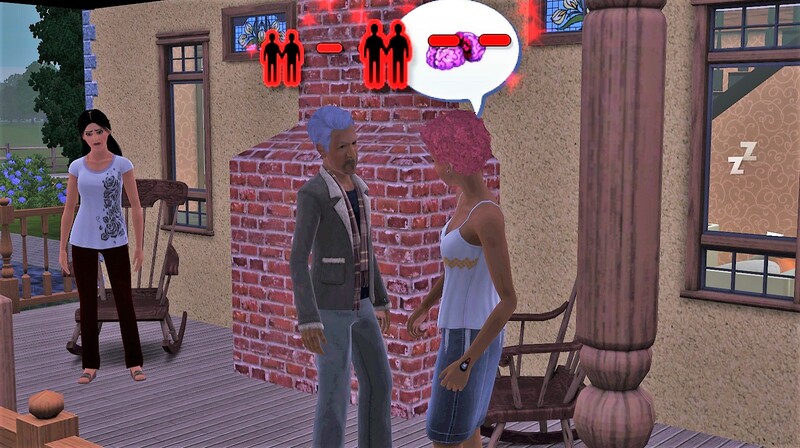 But he also met a girl! Betty Simovitch! 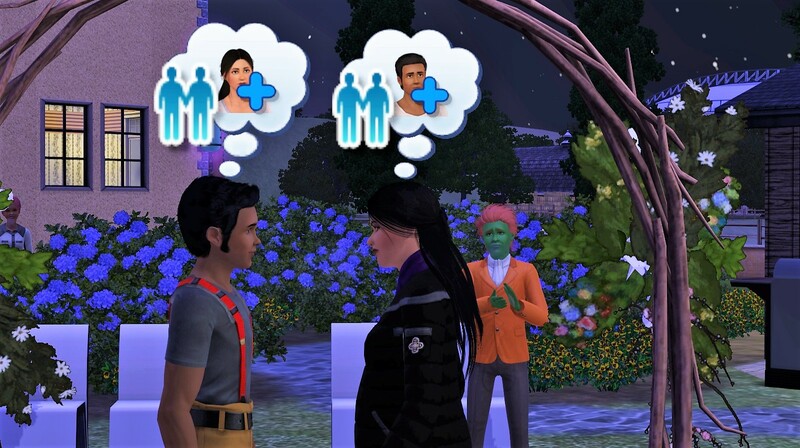 Story progression started her on some other romantic endeavors, as she had aged up, but nothing permanent. Hopefully Owen catches up soon. Oscar rolled some wishes to buy stuff, and since the lot is huge and the Zales have over $300k in the bank, no problem. 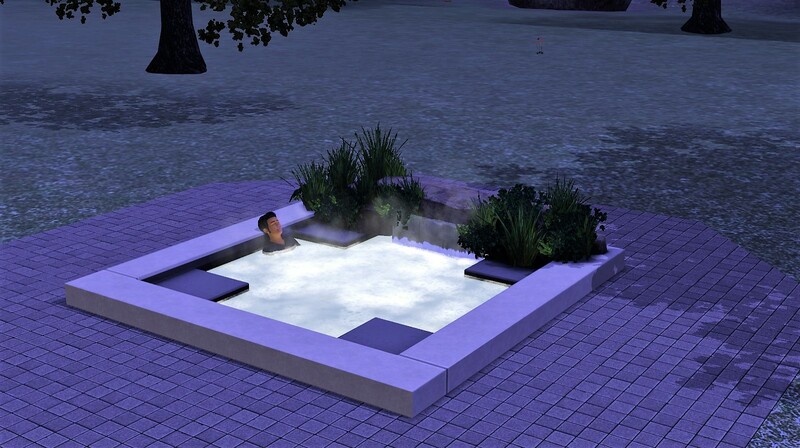 Although I strongly advise against hot tubbing in your hoodie. 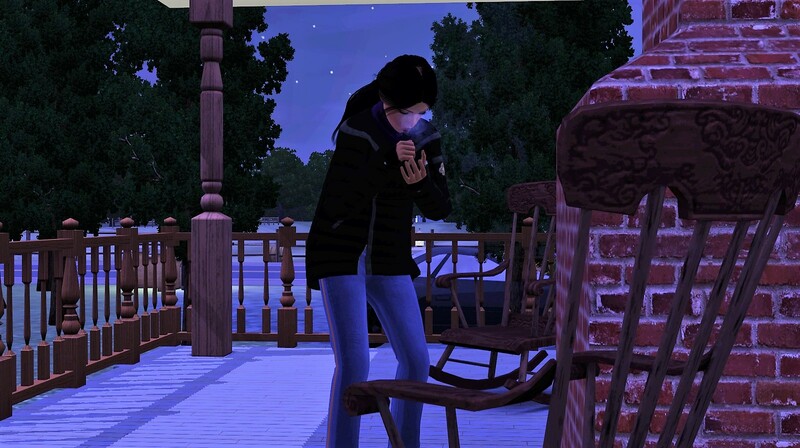 Miriam is out here freezing because she won’t get out of the damned rocking chairs. 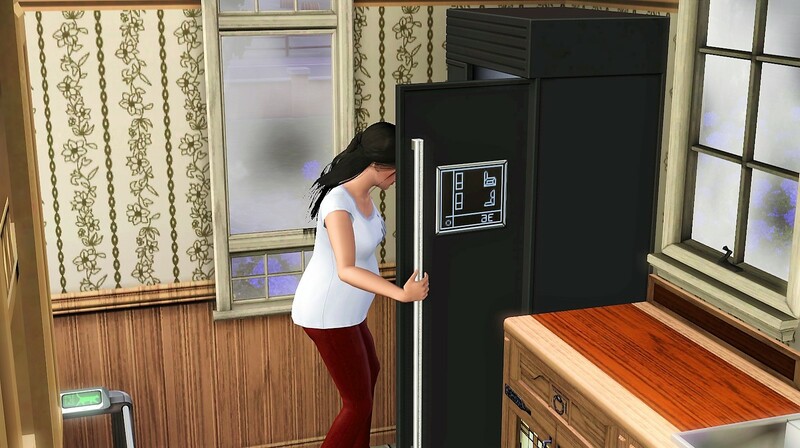 Thankfully the need to feed herself and her unborn child force her to the refrigerator. Back at work for Oscar – YAY! Our second fire! Neat furnishings in this house. 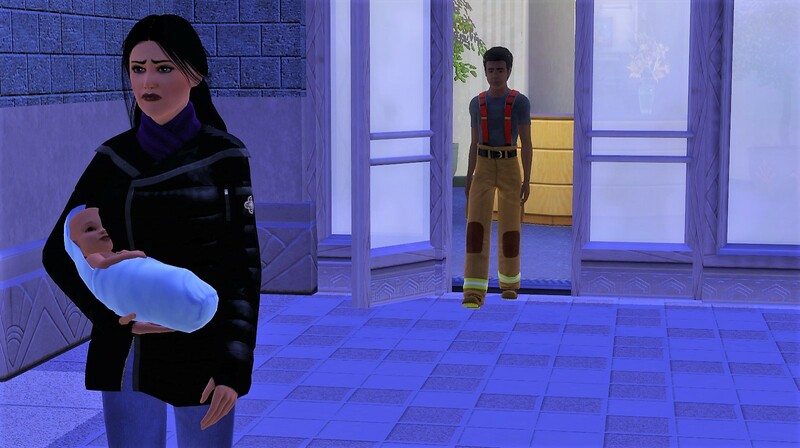 I like that the firefighter career allows you to see inside the other homes. 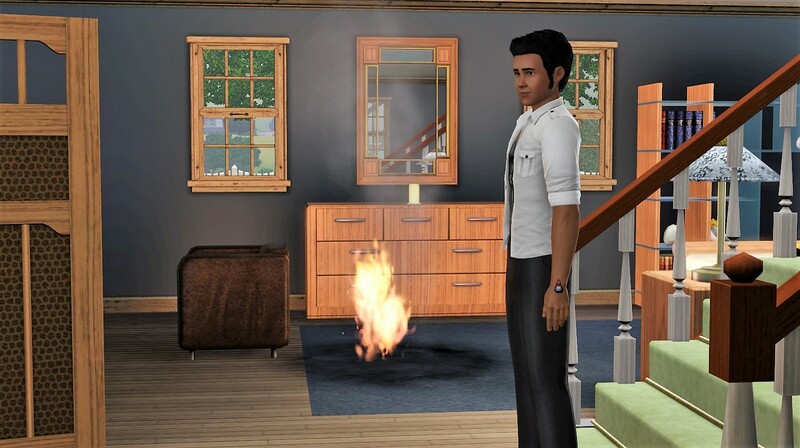 Oscar defeats the flames without any difficulties. 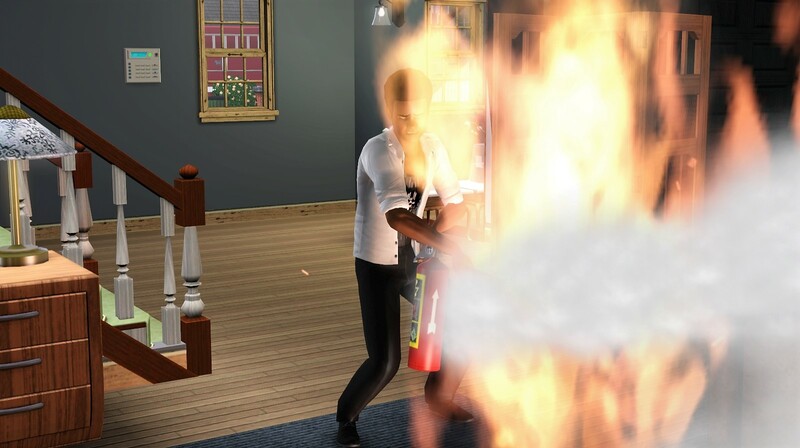 While extinguishing the flames, he gets another promotion! And then we go above and beyond, because Oscar is all about customer service. 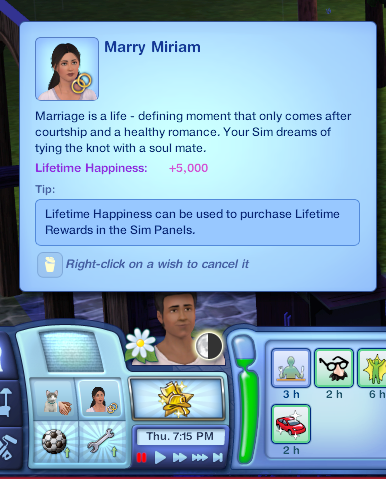 Then Oscar rolls a wish that reminds me he and Miriam are not married! 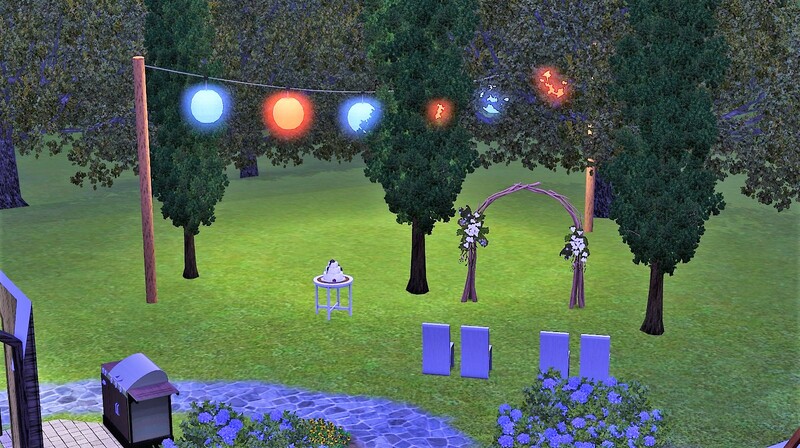 I make a half-arsed attempt at setting up for a little backyard wedding. I click on the arch to get the party started and there aren’t any actions available. Because DUH! 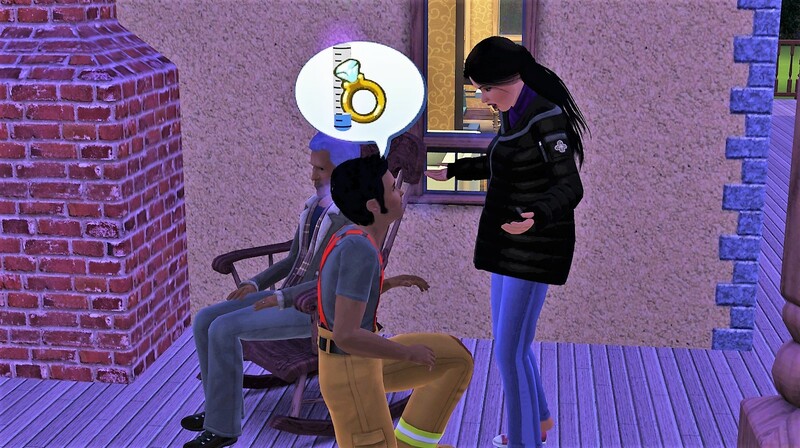 They aren’t even engaged! Oscar gets right on that. And she says yes without hesitation. 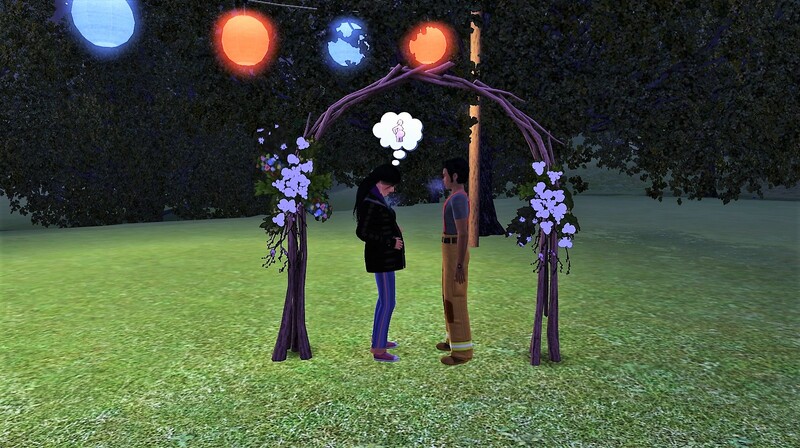 Aww, her idle animation while waiting for the ceremony to start is super cute. 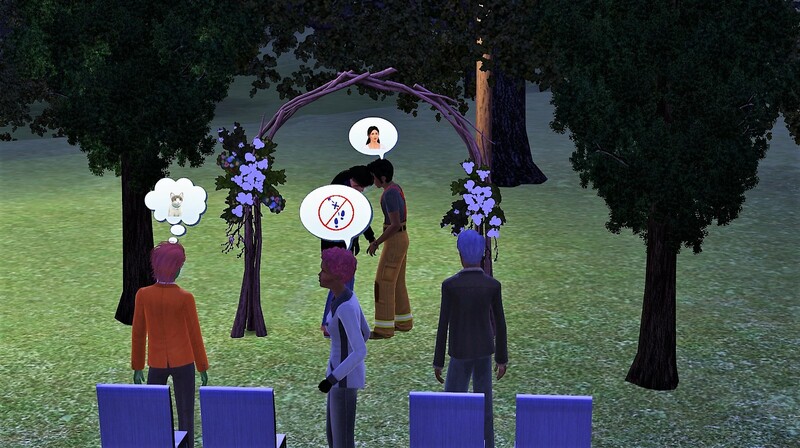 Whelp, this is pretty typical for a Zale wedding. Owen is the only one who manages to care and is super sweet. Remind me to give him a bed somewhere. Just getting ready to grab a slice of wedding cake and BAM. Mere hours after her nuptials, Miriam goes into labor. Pax is welcomed into this world. He rolled eccentric and disciplined. Miriam looks a little grumpy, but she DID wish for a girl (which I locked in). And we DO need girls, as it is a girl’s turn to take over after Oscar is finished. Oscar rolled a wish to rock with Pax, so I happily oblige. It’s cute, and besides, an occupied rocker is one less the idiots can be obsessing about. 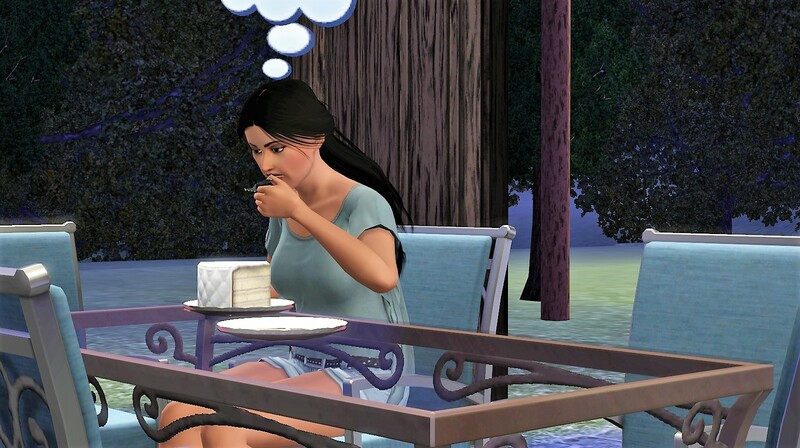 Miriam manages to finally get her hands on that cake. Which is good, because she is very hungry. 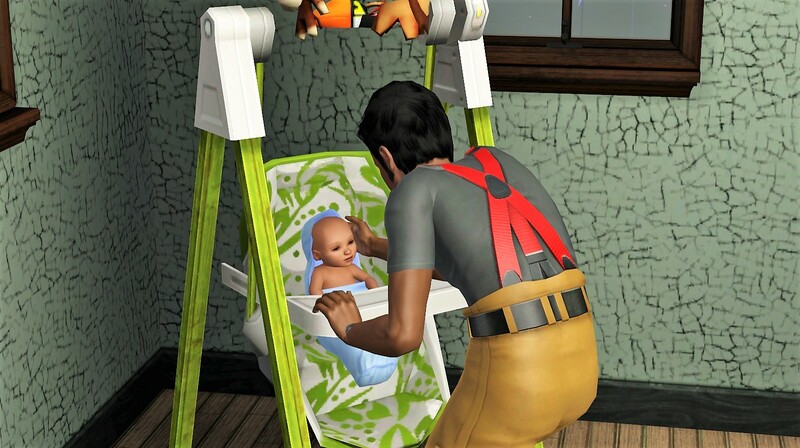 Oscar puts the automatic parenting machine to work. 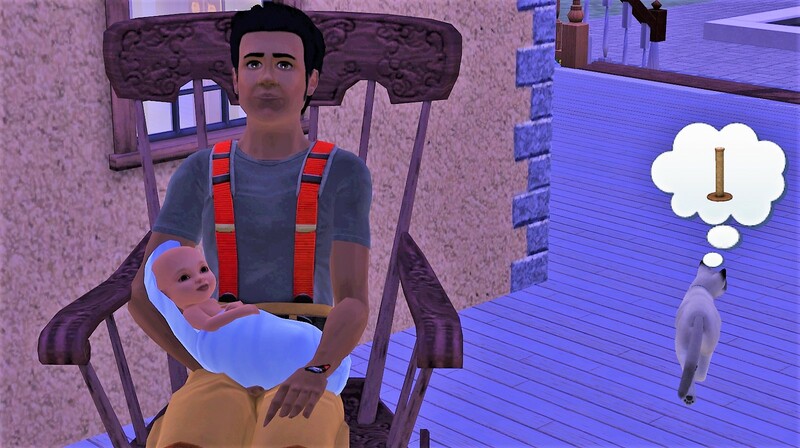 And gets right to work on baby number 2! That’s it for now! Tune in next time! 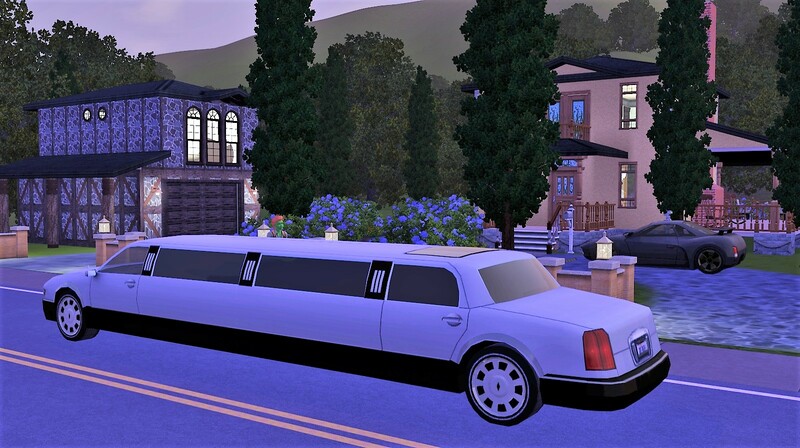 This entry was posted in Generation 15 - O and tagged Alphabetcy, I'm Surrounded By Idiots, ISBI, Oscar Zale, The Sims 3, Zale Legacy on 08/12/2018 by Heather. I think you can drag leftovers around, might have to check that next time I boot my game. Cute name for the nooboo, can’t wait to see what he looks like. I agree with somebodysangel13. 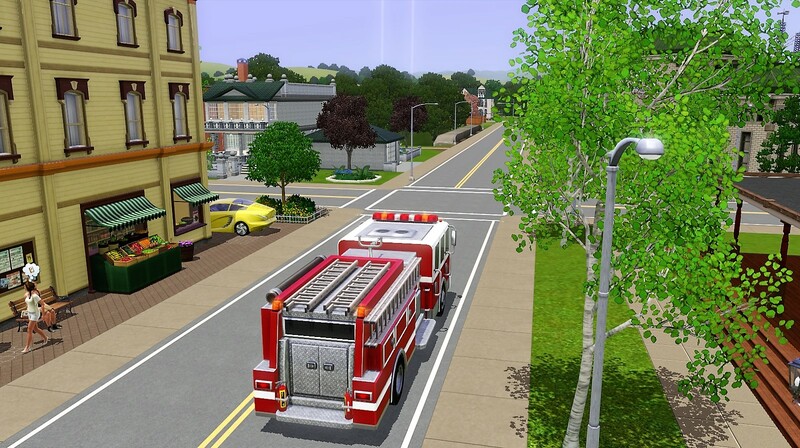 I thought you could do that in TS3. 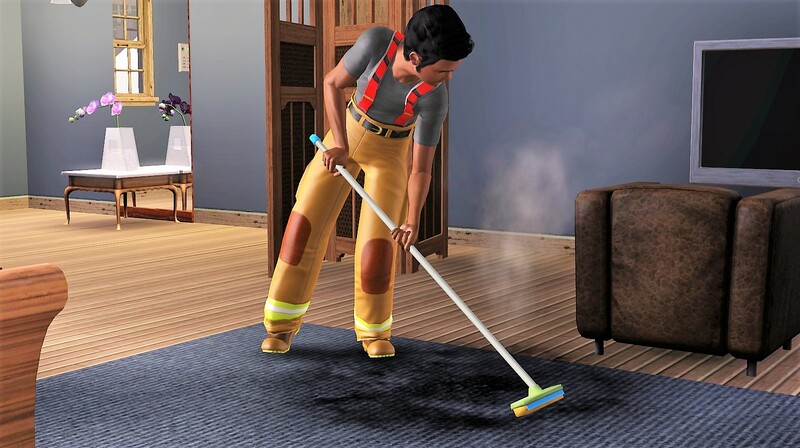 So great seeing the firefighter career. Been so long since I’ve done that. Can’t wait to see what Pax looks like. 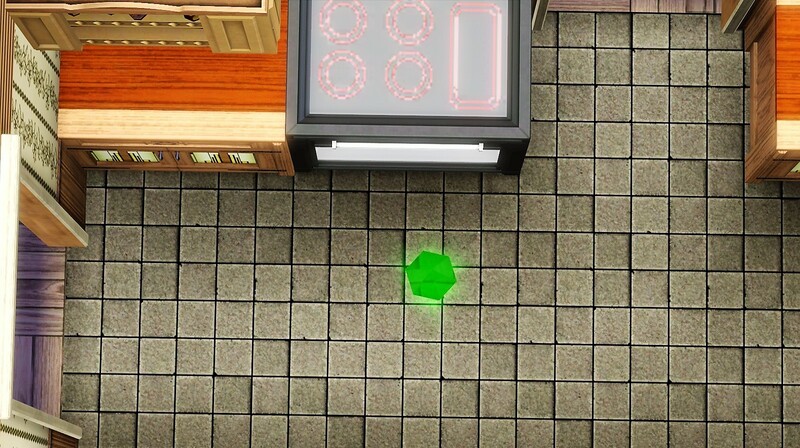 You can drag the food. And I am finally almost caught up with this blog! I’ve enjoyed all the likes! I knew you were getting close! !